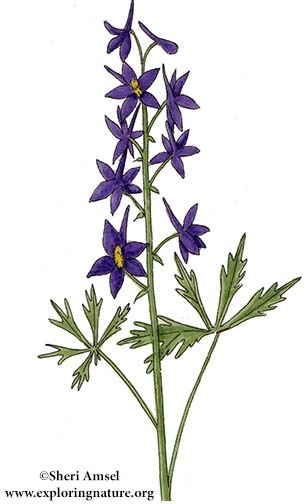 A single stem carries the line of irregular purple-blue flowers. Each flower has a spur in back and yellow stamen inside. The leaves are lobed and irregular, mostly at the base of the plant. They bloom in the spring.